Vintage fashion, loosely translated as clothing from a previous era, used to have a really bad connotation- conjuring up images of dusty, ill-fitting clothes that have Bubby written all over them. Not anymore. Vintage is where it’s at now. If your style-conscious then even if you aren’t shopping vintage per se, your wardrobe is still going to be inflected with vintage overtones. Vintage is now controlling the runway; not the other way around. For girls who dress with modest guidelines in mind, the vintage coup d’état is the best that’s happened since the Kerisma skirt (diehard fashion people know it is completely influenced by the designs of fashion legend Alaïa ). Vintage means more choices, longer lengths and more forgiving silhouettes. Don’t worry, If you find the task of sifting through vintage racks incredibly overwhelming I’m here to break it all down for you. 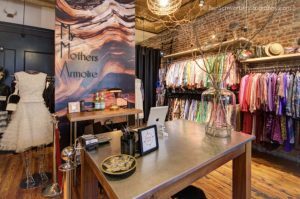 My Mother’s Armoire located at 1634 Coney Island Ave in Brooklyn, NY is a gorgeous grotto of colorful, exquisite vintage pieces that could easily be mistaken for straight-off-the-catwalk looks. The place itself is kind of enchanted, something out of a storybook. A little slice of Narnia in the middle of Flatbush but the clothes are even more magical- color, cool prints and embellishment abound. 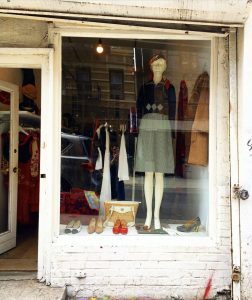 I love this store and can spend hours there but I don’t make it to Brooklyn often, the boutique offers shipping and the packaging, like the clothes, is top notch. Vestiaire Collective (based in Paris) and The Real Real (based in the USA) are the leading online marketplace to buy and sell pre-owned designer clothing and accessories. Both sites are ready to be mined for rare vintage finds. You can find anything from luxurious staples to hard-to-find designer pieces for a fraction of their original price. 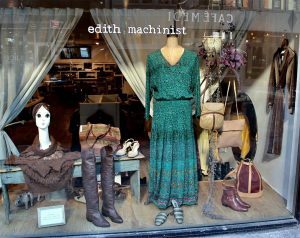 Ellen Shop on Ludlow and Edith Machinist are two legendary purveyors of sophisticated vintage pieces both offering a tight edit of incredibly chic pieces with plenty of more covered-up options. Looks at both shops are often infused with a distinctly Paris-meets New York sensibilities. Elegant palettes, modern silhouettes and unmatchable quality are the tried-and-true trifecta at both boutiques. Looking for modest clothes that are also cool and unique can be a very daunting task. Both boutiques offer plenty of modest pieces with runway cred. Essentially these two places are ideal for the modest-minded and designer-oriented shopper who loves high-fashion heritage pieces. More Than Just Figleaves is a beautifully crafted, incredibly chic vintage-inspired brand started by a Jewish mom who wanted to combine chic fashion with modest style! The line focuses on silhouettes, colors, patterns and textures that are reminiscent of pieces from past eras, but that feel fresh and totally modern. 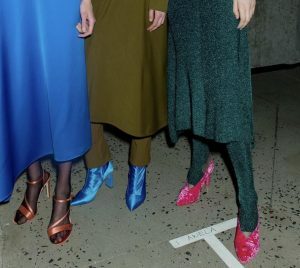 The brand embraces jewel-toned velvet and avant garde prints, burn-out velvets and iridescent fabrics but also offers crisp button-downs and beautiful pencil skirts. Impeccable tailoring and attention to detail are the hallmarks of the brand. The designer’s pieces are elegant and completely unique with street style edge. 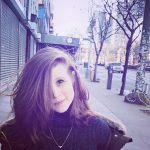 Malky Berkowitz is a fashion blogger and brand consultant living on the Lower East Side of Manhattan. She believes that fashion that emphasizes class, and a more covered-up aesthetic can not only be relevant in today's style landscape but just as cool as any other style options. She has set out to prove that style hypothesis to be true one sparkly turtleneck at a time.